Zoey has really been through a lot in her life! She lost her mother when she was just a kitten but was adopted by a very loving family. 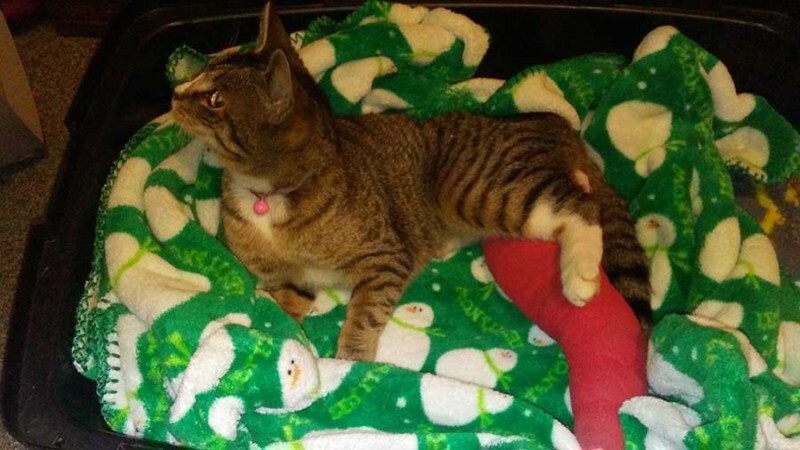 Zoey slipped out of her house and broke her leg very badly. Her mama rushed her to a vet over an hour away and was given the sad news that Zoey’s leg needed to be amputated. Her mama is single and raising three children and could not pay the $625 for the necessary surgery, but could contribute $100. Let’s take a minute to “paws” and thank the Sustaining Members and donors who help with the $525 to get Zoey healthy and back home with her caring family!